Automation, sophisticated algorithms and thus intelligent systems are leading us from software-defined infrastructure (SDI) to artificial intelligence-defined infrastructure. Software-defined infrastructure (SDI) are one of the most popular and ongoing trends within data centers and cloud environments leading to better infrastructure flexibility by developing the infrastructure based on scripts respectively source code. However, SDIs are more and more becoming just a means to an end since automation, sophisticated algorithms and thus intelligent systems are leading to an artificial intelligence-defined infrastructure (AI-defined infrastructure, or ADI). A SDI abstracts the software from the hardware layer. Thus, the intelligence is not implemented into the hardware components anymore and has been moved into a software stack. Based on software and a high degree of automation a SDI is designed to build and control an infrastructure mostly without human interaction. Typical SDI environments, e.g. cloud infrastructure, are built by developing scripts or source code. The software includes all the necessary commands to configure an entire infrastructure environment, including the applications and services running on top. A SDI-based infrastructure works independent from a certain hardware environment. Thus, a complete infrastructure can be exchanged by software – regardless of the underlying hardware components. One reason why SDIs are the fundamental foundation of today’s cloud infrastructure environments. However, a SDI is everything but intelligent! It is based on static source code including hard coded commands for taking certain actions automatically. A software-defined infrastructure is an important concept for building and running dynamic IT environments. However, a SDI is limited to the static source code as well as the skill set of the responsible developer respectively administrator who is writing the scripts/ code for the environment. Furthermore, a SDI is only dynamic to a certain level since it is not able to understand or learn the own environment it is operating. deploying the necessary resources depending on the workload requirements as well as de-allocating the resources when they are not needed anymore. constantly analyzing the ever-changing behavior and status of every single infrastructure component and thus understanding itself. reacting or proactively acting based on the status of single infrastructure components by autonomously taking actions and thus leading the entire infrastructure into an error-free status. An AI-defined infrastructure cannot be compared with classic automation software, which typically works with predefined scripts. An ADI utilizes a company’s existing knowledge executing it automatically and independently. However, like every new born organism an ADI needs to be trained but afterwards can work autonomously. Thus, based on the learned knowledge, disturbances can be solved – even proactively for not expected events by connecting appropriate incidents from the past. Therefore, an ADI monitors and analyzes all responding components in real-time to identify and solve a problem based on its existing knowledge. The more incidents are solved the bigger the infrastructure knowledge gets. The core of an ADI is a knowledge-based architecture that can analyze incidents and changes and autonomously develop strategies to solve an issue. consume the knowledge from external experts to become more intelligent. connect with other ADI environments to link, combine and share their knowledge base. constantly expand the knowledge pool. 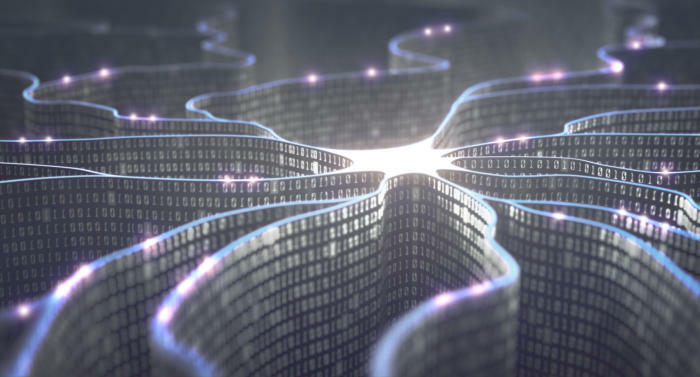 All in all, an ADI is an intelligent system that – initially fueled with external knowledge – can learn and make decisions autonomously without human interaction. An ADI is an essential part of today’s IT operations building the foundation for the AI-enabled enterprise. However, first and foremost it enables IT departments changing the infrastructure behavior from a today’s semi-dynamic to a true real-time IT environment. This autonomous way of planning, building, running and maintaining the entire infrastructure let IT operations and developers deploy IT resources like server, storage, network, databases and other ready services in the most efficient way – by using the knowledge of more than just one expert but the entire IT operations team. Furthermore, IT operations are being transformed from pure consumers of resources to orchestrators respectively managers of a completely automated and intelligent IT stack. The very foundation of an end-to-end AI-ready enterprise.